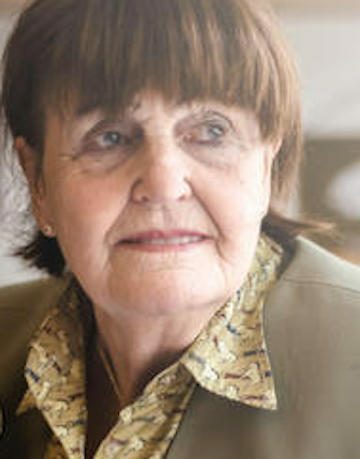 Baroness (Caroline) Cox, is the founder and president of Humanitarian Aid Relief Trust (HART). She became a Life Peer in 1982 for her contributions to education and has served as a Deputy Speaker of the House of Lords from 1985 to 2005. Lady Cox now sits in the Lords as a crossbencher and is a frequent contributor to Lords debates on Sudan, India, Nigeria, Uganda, and Burma. Lady Cox’s humanitarian aid work has taken her on many missions to conflict zones, allowing her to obtain first-hand evidence of the human rights violations and humanitarian needs. Areas travelled include the Armenian enclave of Nagorno Karabakh; Sudan; Nigeria; Uganda; the Karen; Karenni; Shan and Chin peoples in the jungles of Burma; and communities suffering from conflict in Indonesia. She has also visited North Korea helping to promote Parliamentary initiatives and medical programs. Additionally, she has been instrumental in helping to change the former Soviet Union policies for orphaned and abandoned children from institutional to foster family care. In recognition of her work in the international humanitarian and human rights arenas over the years, she had been awarded the Commander Cross of the Order of Merit of the Republic of Poland; the prestigious Wilberforce Award; the International Mother Teresa Award from the All India Christian Council; the Mkhitar Gosh Medal conferred by the President of the Republic of Armenia; and the anniversary medal presented by Lech Walesa, the former President of Poland, at the 25th anniversary of the Polish Solidarity Movement. Lady Cox has also been awarded an Honorary Fellowship of the Royal College of Surgeons of England and Honorary Doctorates by universities in the United Kingdom, the United States of America, the Russian Federation and Armenia. The ‘West,’ Islam, and Islamism: Is Ideological Islam Compatible with Liberal Democracy?